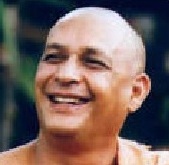 Yogacharya B.K.S. 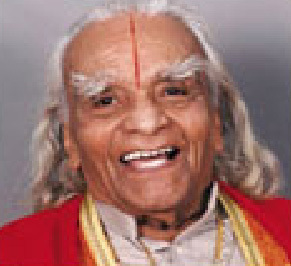 Iyengar (Guruji) is a living legend is known for his unique way of teaching yoga. He is considered the one among foremost yoga teachers of the world. He was born in a poor Iyengar family in Bellur, Kolar district in Karnataka. He was weak and sick when born as Bellur was affected by influence pandemic at the time of his birth. At the age of 15 he was sent to Mysore to learn yoga in order to improve his health. He learnt yoga from Tirumalai Krishnamacharya who is referred as “the father of modern yoga”. Iyengar’s teachings were consolidated into a book called “Light on Yoga” for the first time in 1996. This book was translated into 18 languages later. He wrote atleast 14 books on yoga. He is the founder of Ramamani Iyengar Memorial Yoga Institute (RIMYI) in Pune. He taught yoga to many celebrities of the world. It is amazing to note that he taught sheershasana to Elizabeth, the Queen of Belgium when she was at the age of 80. Sri Pattabhi Jois was born on a full moon day in July, 1915, on Guru Purnima Day in an ancestral village called Kowshika, near Hassan in Karnataka state. He is the renowned Indian yoga teacher who developed the most popular gymnastic style of yoga famously known as ashtanga vinyasa yoga or ahtanga yoga. 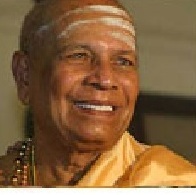 He established Ashtanga Yoga Research Institute in 1948. Many local officials including police and doctors joined him to learn yoga from him. Andre van Lysbeth was the first western to learn yoga from him. He later on wrote a book on yoga and published Sri Pattabhi Jois’s photo in it which made Jois popular in Europe for the first time and attracted many yoga student from there followed by Americans later. Eventually he became a medium for yoga to spread through the western countries. He also launched an institute in Islamorada, Florida. Although he continued to teach at the Ashtanga Yoga Research Institute in Mysore which is now located in the neighborhood of Gokulam. His only daughter Saraswathi Rangaswamy and his grandson Sharath served him both personally in the yoga field until May 18, 2009 when he died at the age of 93 from natural causes. Swami Sivananda Saraswati was born in the town of Pattamadai, Tamil Nadu in 1887. He studied and practiced medeicine for several years. He served as a physician at British Malaya for a very long tenure. Later, he renounced his profession when he was initiated into Dashnami sanyasa in 1924 by Swami Vishwananda Saraswati at Rishikesh. He travelled extensively throughout India, inspiring people to lead a divine life through the practice yoga. He established the Divine Life Society in Rishikesh in 1936 and Yoga-Vedanta Forest Academy in 1948. He wrote over 200 books on yoga. Swami Rama was born in 1925 in the small village of Toli in the Garhwal, Himalayas. He was raised by his Master Madhavanada Saraswati in the Himalayas from a very early age. There he became the lineage holder of the Himalayan Masters tradition of Sankhya Yoga. Rama traveled examining a number of monasteries under the guidance of his Master. He studied along with a variety of Himalayan saints and sages, one them being his grand master who lived in Tibet in some remote area. Rama is often remembered as one of the first Yogis who allowed him to be studied by the Western scientists as a part of their research. He was examined by them at the Menninger Clinic in the 1960s. They conducted a research on his ability to voluntary control bodily processes such as heartbeat, body temperature and blood pressure, which are normally considered to be non-voluntary actions. In later years he established the Himalayan Institute in US and in India. Adi Shankaracharya was born in the Village of Kaladi, in Kerala around 788 AD. 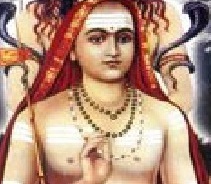 Adi Shankaracharya was the first philosopher to consolidate Advaita Vedanta which is one of the sub-schools of Vedanta. He believed in the greatness of the holy Vedas and was a major advocate of it. He did not only infuse a new life into the Vedas but he also defended against the Vedic religious practices of ritualistic excesses. He established four Shankaracharya Peethas in the four corners of India. These Peethas continue to promote his teachings and philosophy to this day. The biography of Adi Sankaracharya reveals that he was also the founder of both the Shanmata tradition of worship and the Dashanami monastic order. Vedanta Jnana Peetha, Sringeri (South India), Kalika Peetha, Dwaraka (West India) ,Govardhana Peetha in Jagannath Puri (East India) and Jyotih Peetha, Badrikashrama (North India) are theFour Adi Shankaracharya Peethas eastablished in four corner of India. Swami Vivekananda was born in 1863 in Calcutta. He was inclined towards realization of God and spirituality right from his childhood. Swami Vivekananda came to Ramakrishna Paramahamsa in search of an entity who is capable of directly demonstrating the reality of God. He later on became his disciple. Ramakrishna Paramahamsa taught him Advaita Vedanta and that all religions are true. He also taught him that serving mankind was the most effective worship of God. He established the Ramakrishna Math and Mission in1897. 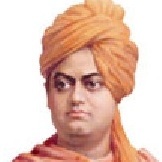 Swami Vivekananda is considered a key figure to induce Yoga and Vedanta in America and Europe. He is also attributed for raising interfaith awareness and raising the status of Hinduism to the level of a world religion by the end of the 19th Century. He is famous for his motivating speech which always begins with “sisters and brothers of America”. Through this he introduced Hinduism in 1893 at the Parliament of the World’s Religions at Chicago. 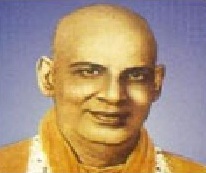 Swami Kuvalayananda was born in 1883. It was the time when the revival of the nation was awakening the spirit of Mother India at a slow pace. He was influenced by Sri Aurobindo in his college days. Boxmahamsa Madhavdasji a great Yogi from Bengal in the city of Malsar, near Baroda, on the banks of Narmada waited to guide him. Under the guidance of Madhavdasji, Swami Kuvalayananda gained an insight into yogic discipline made which moulded the path to his career. From 1920-1921, in the laboratory of Baroda Hospital, he ventured into a new field with an entirely new approach. He adopted a research on the effects of Yogic practices on the human body assisted by few of his students. The exceptional results of this scientific research coupled with his personal experiences convinced him forever that, the age-old system of Yoga supported with the modern scientific experimental approach, would greatly help the material and spiritual growth of the mankind. This became his goal in life. Later on he established the Kaivalayadhama Institute of Yoga in Lonavala which is located in Pune. Swami Chidanada Saraswati was born in 1916 in Tamil Nadu. In 1936, he took up a life of renunciation. He joined the ashram operated by Swami Sivananda in Rishikesh, in 1943. After his predecessor Swami Sivananda the founder of Divine Life Society reached mahasamadhi, Swami Chidanada Saraswati succeeded as President of this Society in 1963. Swami Satyananda Saraswati was born in 1923 at Almora, Uttar Pradesh. He was initiated into Dashnami Sannyasa by Swami Sivananda Saraswati in Rishikesh in 1943. Later on, he established Bihar School of Yoga in 1963. 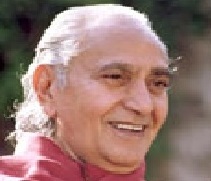 He is considered a pioneer in the field of Yoga and its related practices.